The sixth floor of the stylish sixteen-floor building is the social hub at the center of the Whitley. An outdoor kitchen with grilling stations and a refrigerator provide a captivating spot on the sundeck to entertain friends on evenings in the city. A waterfall surrounds the seating area with views of the Austin skyline. Residents enjoy lounging poolside and relaxing beside the fire pit. Timeless elegance and contemporary comfort combine in these fashionable downtown apartments. Gourmet kitchens with granite countertops and stainless steel Whirlpool appliances are at the heart of each home. Designer details, including glass mosaic tile backsplashes and versatile track lighting, enhance the luxe appeal while washer and dryer sets add a convenient complement. 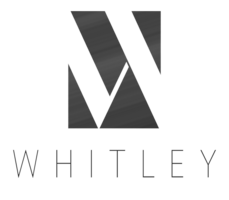 Find your next home at Whitley today. Pet policy: We allow up to two pets per home. There is a $300 pet deposit and a $300 pet fee (non-refundable) for one pet, and a $400 pet deposit and a $300 pet fee (non-refundable) for the second pet. Pet rent is $20 per month, per pet. Breed restrictions apply. For more information, please call our leasing office. Parking Comment: Private Garages within Parking Garage available. Please call for details.